Heritage authorities have rejected an application for Federation Square’s Yarra Building to be demolished and replaced a Foster and Partners-designed flagship Apple store. 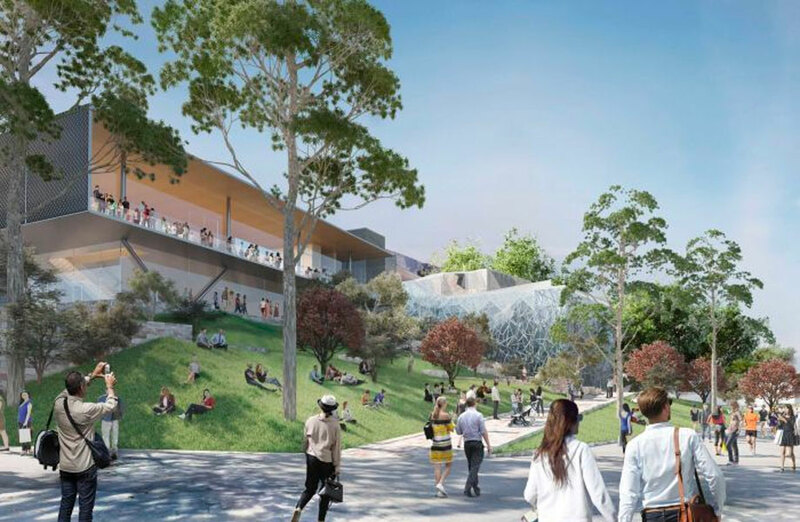 The Andrews government angered many when it approved a plan for Apple to build a "flagship" store on the site, which is considered a cultural precinct rather than a commercial area. Heritage Victoria have now decided the Apple store would be “visually dominant”, detracting from the design of the square and encroaching into public space. 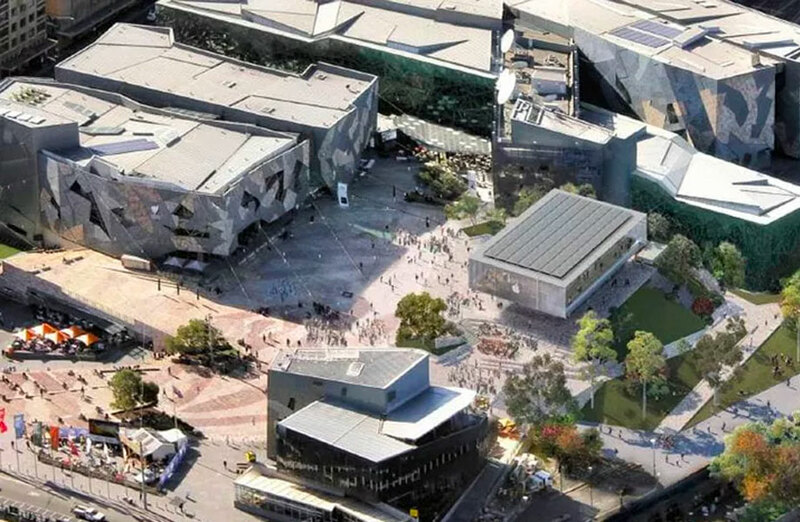 “If the application were approved, and the Yarra Building demolished and replaced with the proposed building, it would result in an unacceptable and irreversible detrimental impact on the cultural heritage significance of Federation Square,” Heritage Victoria said. Related: Will an Apple Store Ruin Federation Square? In a statement responding to the decision, the Victorian government said the store could no longer go ahead. “This decision gives us an opportunity to listen to people’s views about this important part of Melbourne,” Minister for creative industries Martin Foley said. In the wake of the decision, Apple have announced it will not proceed with its plan, allowing the Andrews government to conduct a review into the ongoing uses and operation of Federation Square. “While we are disappointed we're no longer able to pursue our plan for Federation Square, we remain committed to serving our customers in Melbourne and across Australia,” Apple said. • Apple's plans for a new flagship store were approved by Premier Daniel Andrews in 2017. • The original plans were heavily criticised for a lack of public consultation and dubbed by some as a “Pizza Hut pagoda”, before being redesigned mid-2018. • In a move to protect the landmark, the National Trust pushed for the heritage protection mid-2018, with Heritage Victoria soon after recommending Federation Square be added to the heritage register. “The review will examine how Federation Square looks, how it’s funded and how it operates so that it continues to stand out as an iconic Melbourne attraction that is enjoyed by not only Melburnians but people from all over the world,” Minister for tourism Martin Pakula said. Victorian government architect Jill Garner and former managing partner of Ernst and Young Tim Eddy will jointly chair the review while working closely with the Chair of the Federation Square board.